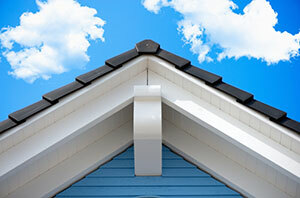 During the heat of summer, your roof may be the last thing on your mind. Performing summertime maintenance is the most effective way to ensure that it is fully prepared for the seasons to come. These five tips can help you keep your roof in great shape. Your roof is supposed to keep water out of your home, but poorly maintained gutters and downspouts can cause water to collect and ultimately damage your roof. Thoroughly inspect your gutters and downspouts. Make sure that all components are fully intact and undamaged. Good Insulation in your attic is crucial because it prevents water condensation from damaging the underside of your roof. Insulation also keeps your home cooler during the hot summer months and warmer during the cold winter months. Replacing shingles is one of the easiest and most inexpensive ways to protect your roof. Keep an eye out for damaged, curling or missing shingles. Replace them as soon as possible to ensure that your roof is capable of handling wind and rain. Flashing helps to direct water off of your roof and prevents it from seeping into your home. Old, damaged flashing can lead to problems such as leaks and even mold. Resealing your roof can prevent major repairs and the high costs associated with them. Algae and fungus may seem harmless, but can do some serious damage to your roof, which is why it is important to get the problem under control early. You should inspect your roof for fungus and algae every six months because it is much easier to eliminate new growth. Zinc control strips are the most common solution for fungus and algae.